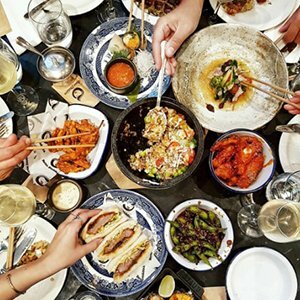 Clerkenwell Boy is an anonymous Instagrammer whose passion for sharing food and travel photos through social media has seen him listed as one of "London’s most influential people" by the London Evening Standard and “The UK’s Top 100 Most Influential People In Food” by Telegraph Hill. With over 130 thousand followers on Instagram (including the likes of Jamie Oliver and Nigella Lawson), Clerkenwell Boy has been featured by the BBC, Guardian, Observer, Telegraph, The Times and more. He has also written for numerous publications including British Airways Highlife, Foodism, Suitcase Magazine, TimeOut and Virgin Atlantic. Clerkenwell Boy is currently the Food Editor for the official @London Instagram page (which has over 2.1 million followers) where he curates and posts food content on a weekly basis. Most recently he has been named as a judge for the Young British Foodies awards as well as the new Evening Standard Restaurant awards which will be unveiled at Taste of London 2016 ­ the capital's biggest food festival.